Buying Your Child’s First Guitar - Andertons Music Co.
We know the feeling - summer's over and it's almost term-time. But it's not all bad; this is the perfect time for your child to pick up a new instrument! It can be difficult to know where to start - that's why we've written this concise guide to help you choose the right guitar for your child! Schools are soon to reopen. We know the break is never long enough. But with school comes great opportunity for your child to pick up a new instrument. Whether it's regular music classes in school time, private tuition or online resources, there are loads of opportunities to introduce your kids to the guitar! But what do you get them? Even the youngest budding rockers probably wants a ’57 Gibson Les Paul Custom (I know I did) but that's sadly not realistic for a 6-year-old. Getting a great guitar for your child is just as much about finding something that is comfortable as it is affordable. For a lot of younger students & beginners, it's often recommended to start with a Nylon String Guitar. First of all, they come in ½, ¾ and full-sized versions. They are less tiresome on the fingers, with better string spacing that helps with adjusting to handling the neck. For any guitarist between the ages of 5-8, a ½ size guitar is a sensible option. From ages 9-13 you are looking at ¾ size and for anyone over 13 a full-sized guitar should be no problem. Obviously, this changes slightly with each person, so it's important that you have an opportunity to try some guitars out or ask for advice. What's the best guitar for beginners? We're glad you asked. 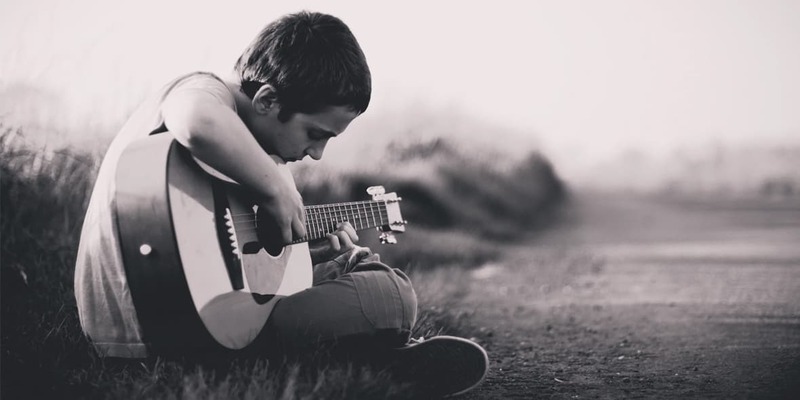 As mentioned above, there are plenty of choices for children who want to learn the guitar - but there plenty more to consider when choosing that first instrument. Ideally, you'll want something that's affordable, reliable, versatile and easy to use. Many brands make guitars that are aimed at beginners, offering comfy feel, great sound and a great learning experience on a budget. 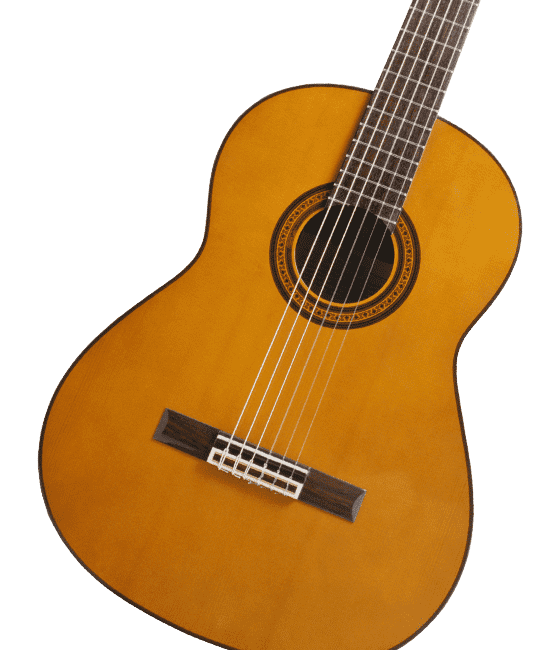 Many entry level guitars also come in 3/4 and 1/2 sizes - literally smaller instruments that are easier to get to grips with, especially for children. We've curated a selection of guitars that are perfect for beginners to save you a little bit of hassle. These are great entry level instruments that offer great feel and sound, making for a great learning experience. Click the link below! Shop Beginners' Acoustic Guitars Now! While the guitar is the most important part to consider, it's worth thinking about what accessories you may need. To begin with, a tuner, a gigbag and a spare set of strings are vital. A tuner, as the name suggests, helps you keep your instrument in tune. A gigbag helps you get a guitar from place to place safely. Finally, a spare set of strings are really useful as after a while strings become stretched out and dull and either need tuning more frequently or just sound bad. Strings can also snap if overturned or bent too far so being able to switch a string out without a trip to your local music store is always handy. Click on the buttons below to view our range! Luckily a lot of starter packs come with all of this in one bundle; this means less hassle for you. These bundles are often affordable too, so you can introduce your child to the guitar with everything they need without breaking the bank! Click on the buttons below to view our starter pack range! Shop Acoustic Starter Packs! Shop Electric Starter Packs!